Preserving and promoting the history of molecular biology. 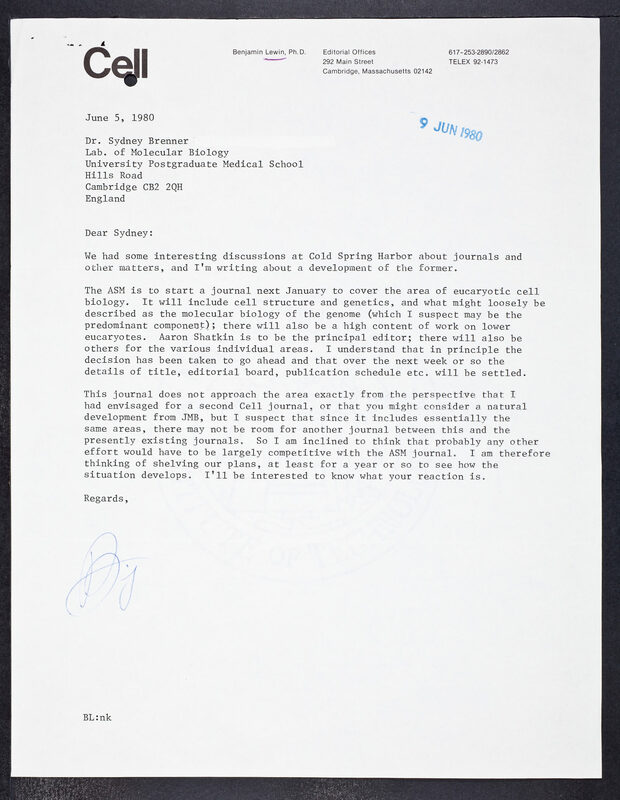 Lewin, Benjamin, “Letter from Benjamin Lewin to Sydney Brenner,” CSHL Archives Repository, Reference SB/1/2/145/2, accessed April 25, 2019, http://libgallery.cshl.edu/items/show/72215. Funded in part by the generous support of the Wellcome Library's Codebreakers: Makers of Modern Genetics project. Copyright © 2018 Cold Spring Harbor Laboratory. All rights reserved.